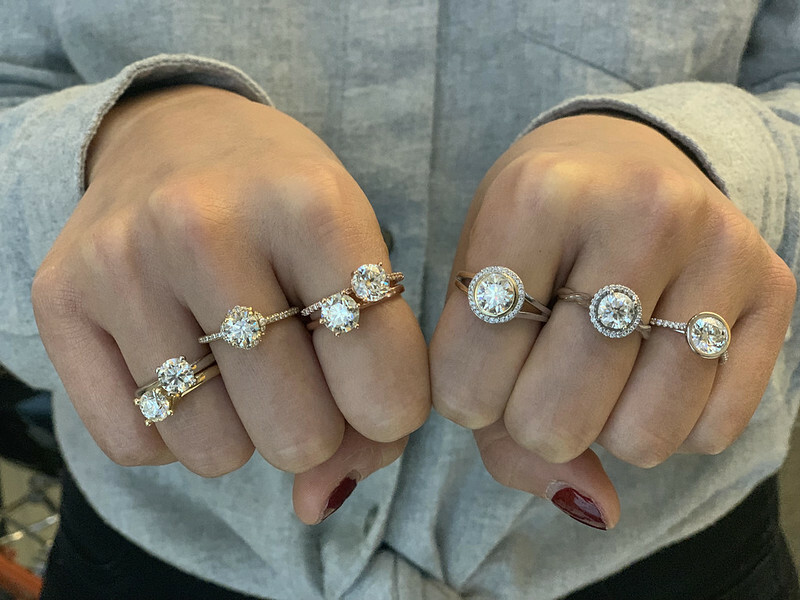 Sparkle Cut Diamonds launched just before the holidays and the company wants consumers to rethink the 4 C’s. Traditionally, clarity, cut, color and carat weight have been the first and foremost ways of judging a diamond. However, those who have hands-on experience with diamonds, whether you’re in the jewelry industry or not, know that sometimes there’s more to it than that! Take my engagement ring, for example. On a color grade scale, my twin diamonds are so low they look like failing students. But, if you see them in person, they SPARKLE and no one ever notices their low color grade. Sparkle Cut introduces their system which hones in on what consumers value most when diamond buying — coining the 3 S’s: Sparkle, Size & Shape. These are important factors because this is what people SEE, unlike clarity and color which is less likely to be noticed by an untrained eye. So the Size & Shape aspects are pretty straight-forward…size is carat weight and Sparkle Cut wants to provide its customers with the largest possible diamond for your budget. And for Shape, Sparkle Cut currently only works with round cut diamonds with their cutting technology, but are steadfastly working on other shapes which will hopefully launch in the future! Let’s discuss the third S within the Sparkle Cut mantra, because Sparkle is the most important of them all. 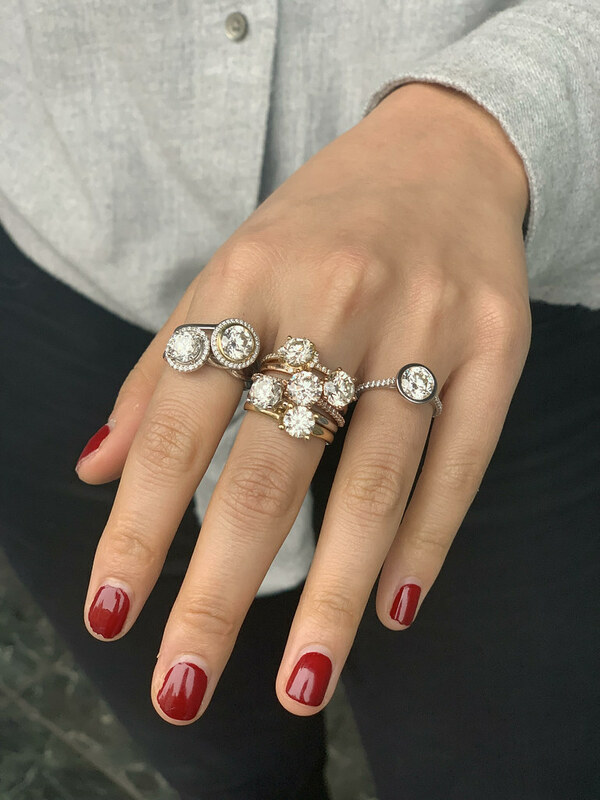 Every Sparkle Cut diamond is sourced responsibly and they use GIA and IGI naturally mined, certified stones, typically color graded from I through K. (Although they can source any grade of diamond you’d like.) 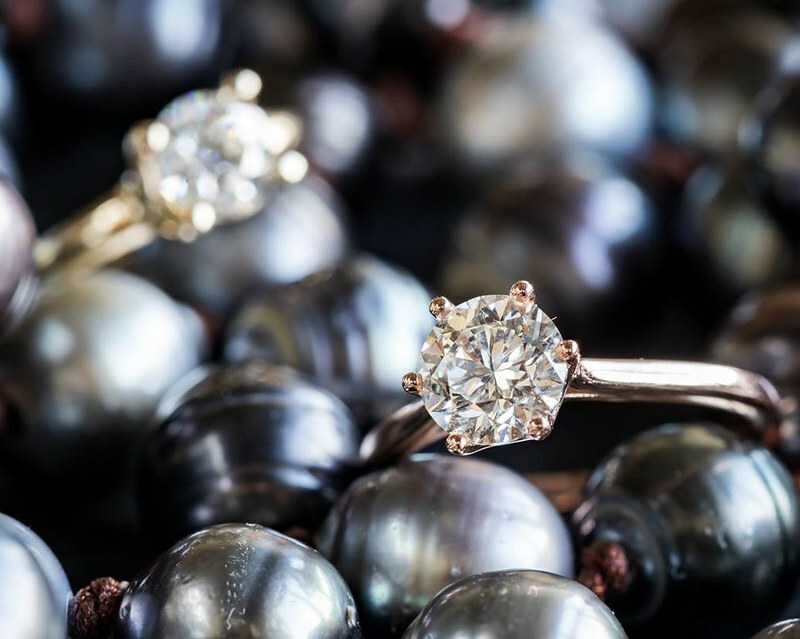 Now here is where the Sparkle comes in and why they are different from other diamonds — Sparkle Cut has invented a proprietary cut that uses nano technology and a focused ion beam machine to create milled grooves on the diamond’s pavilion to maximize its sparkle. The grooves actually keep the light which enters a diamond from escaping out the bottom and instead throws the light back up at you looking at it from the top! The sparkle is increased anywhere from 50-100% from what it was before. And if you’re wondering, these tiny cuts in the diamond are so small (1/50th the size of a human hair) they don’t change the carat weight of the original stone or the clarity/color grade. 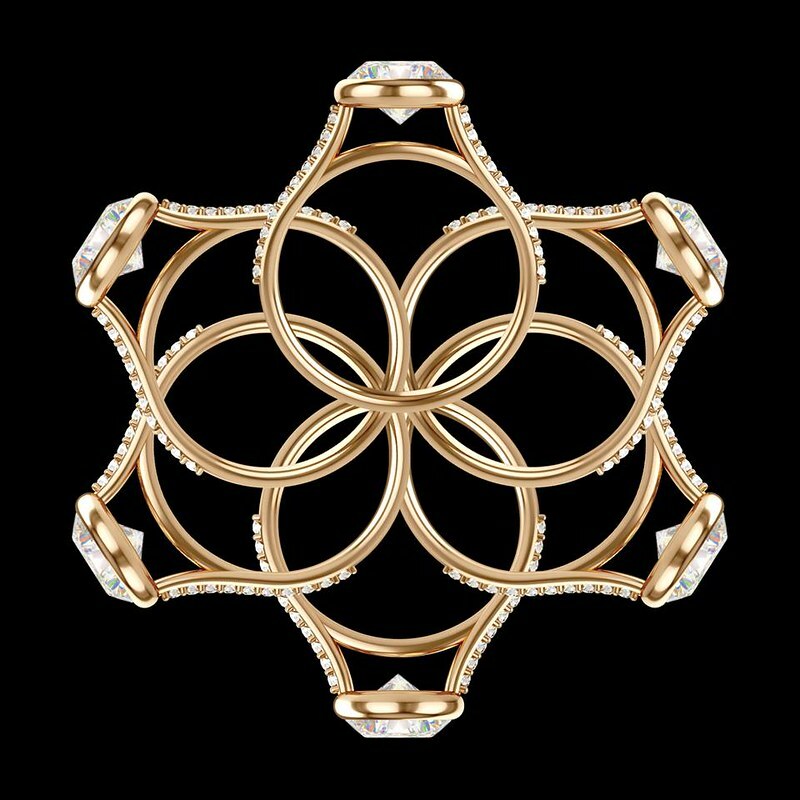 I love learning about new technology in the jewelry industry and I was intrigued to learn about Sparkle Cut Diamonds. I like that they are taking diamonds that are already available in the marketplace and making them better, more sparkly! If you’re interested in learning more, they have lots of information on their website that is user-friendly and straight-forward. And if you’re interested in buying a Sparkle Cut Diamond, they are exclusively sold online through their website as they wanted to create a direct-to-consumer marketplace where buyers can get the best price available, and offer unparalleled services (like a 40-day return policy and full-insured delivery, as well as free shipping and sales tax only charged in CA, LA, FL). You can buy loose diamonds as well as design a ring from scratch using a step-by-step process. There are over 50 different styles and it is fun to see how easy it is to maneuver. They are even offering 10% off of their diamonds right now, go check it out! So what do we think about Sparkle Cut Diamonds?! I’d love to hear your opinion! This sponsored blog post was brought to you in collaboration with Sparkle Cut Diamonds.